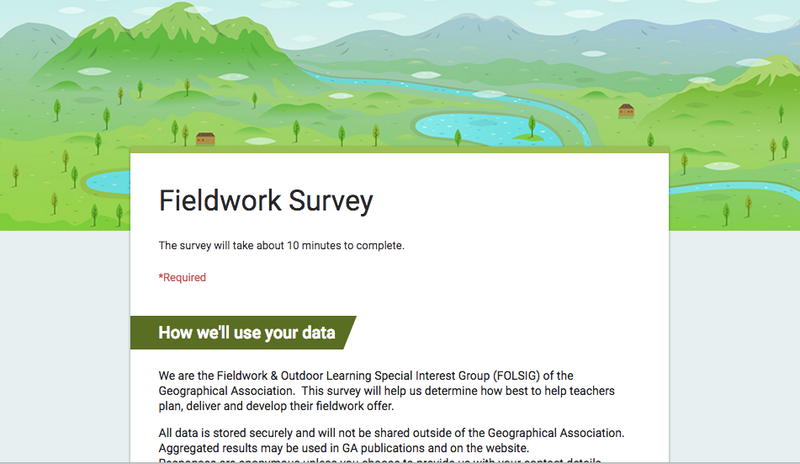 Another request, if you have a few minutes, to provide your thoughts on the survey on FIELDWORK launched at the GA conference. It's a questionnaire on fieldwork and outdoor learning which was developed by Philip Monk and other colleagues on the Fieldwork and Outdoor Learning Special Interest Group. 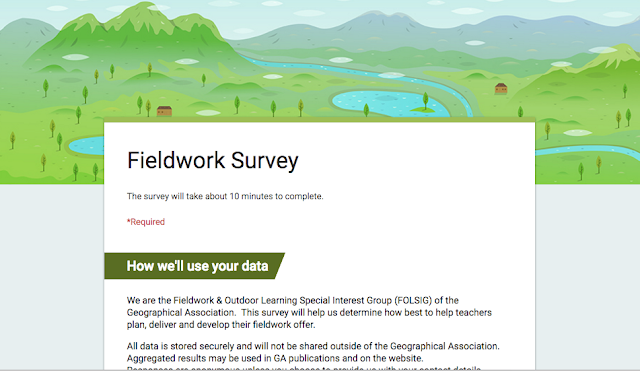 If you had time to fill the survey in, that would help to inform the GA's future support for Fieldwork and Outdoor Learning. It's embedded below as well if you had time to help out.